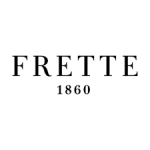 Frette specializes in luxury bedding, sheets, blankets, and comforters and duvets, as well as a whole line of bath products. This company also offers limited-edition collections of clothing and accessories, home decor and design products for indoors as well as out, and linens and robes. Customers can shop the entire Frette collection, including online only and exclusive product is not available in traditional retail outlets. Visitors to the site will be encouraged to sign up for the free email newsletter published by this company, saving 15% off of their first order when they do so. Free delivery is available on every purchase of $250 or more.